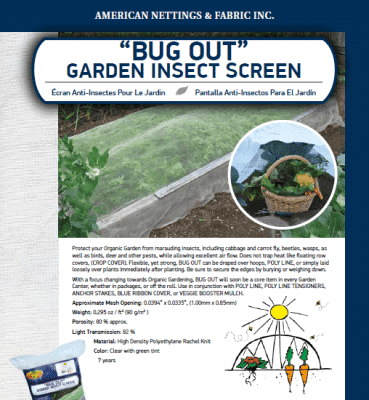 “Bug Out” Garden Insect Screen is specially designed to protect against even the smallest insects. 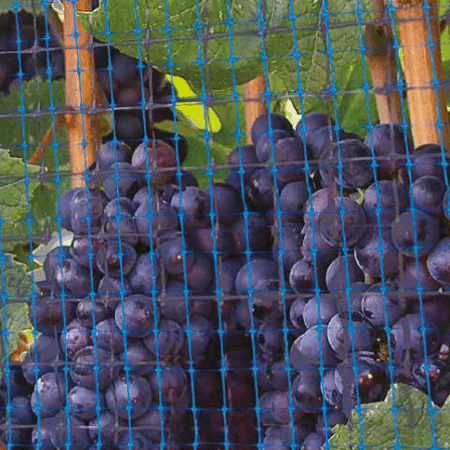 The fine mesh adequately controls bugs while also preventing birds, deer and other pests from having access to your hard work. (Please note it does not trap heat. 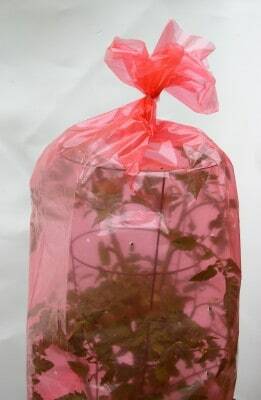 See Crop Cover for thermal regulating covers). For suggestions and more information, please see the product description below. 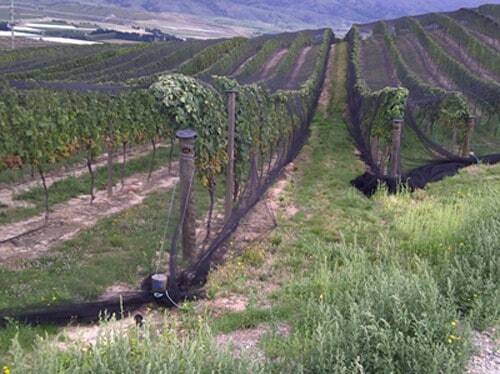 Please see Big Bug Netting and/or Vineyard-Bird & Bug Netting for products with similar applications. 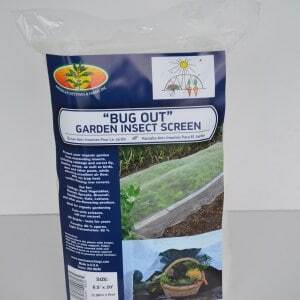 For discounted “Bug Out” Garden Insect Screen, please see “Bug Out” Insect Screen Odds & Ends. 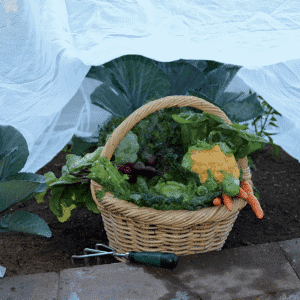 Protect your Organic Garden from marauding insects, including cabbage and carrot fly, beetles, wasps, as well as birds, deer and other pests, while allowing excellent air flow. 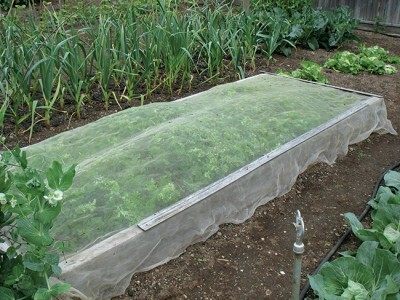 “Bug Out” Garden Insect Screen does not trap heat like floating row covers, (Crop Cover). 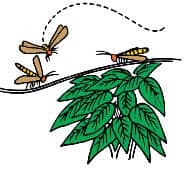 Flexible, yet strong, “Bug Out” can be draped over hoops, Poly Line, or simply laid loosely over plants immediately after planting. 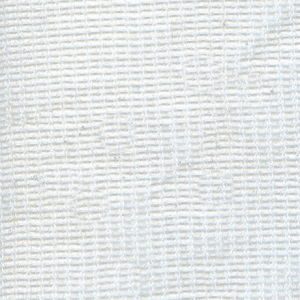 Be sure to secure the edges by burying, weighing down or using Fabric Staples. Simply drape over plants. Edges should be lightly covered with soil or weighted down or secured using Fabric Staples to protect against predators and to prevent wind mishaps. 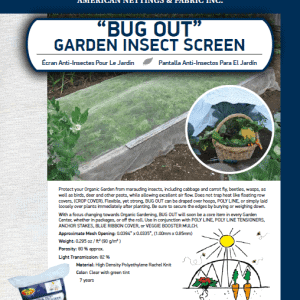 When using hoops or other structural support, simply drape “Bug Out” Garden Insect Screen evenly over the top. The edges should easily touch the ground on all sides with plenty of extra material to secure properly. When securing to the ground, bury the edges or weigh them down to prevent pest access and wind mishaps. 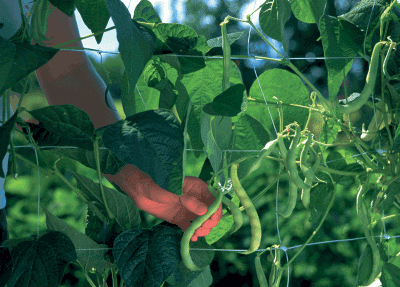 Poly Line is a product designed specifically for use as a gardening support system. 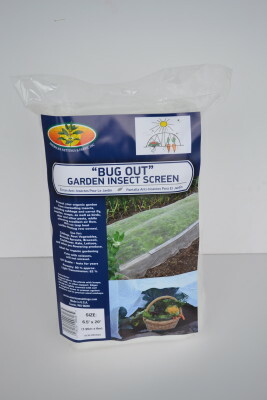 For those gardeners who prefer to have “Bug Out” Garden Insect Screen off of the ground, Poly Line is an inexpensive, effective option. Simply set up two or more posts. The posts should all be the same height; 2-6 inches taller than the gardening area. 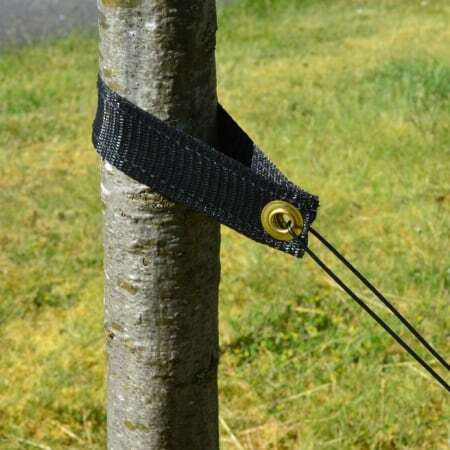 After Poly Line is secured to the first post, pull it taut and secure it to the next post. Use in conjunction with Poly Line Tensioners and Anchor Stakes for best results. 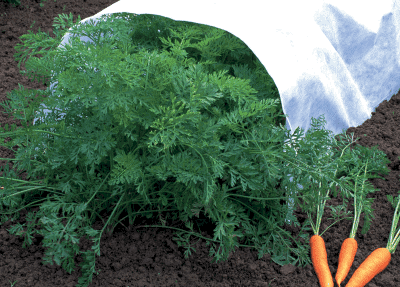 Once the structure is complete, drape “Bug Out” Garden Insect Screen over the top and secure the edges by burying or weighing them down.